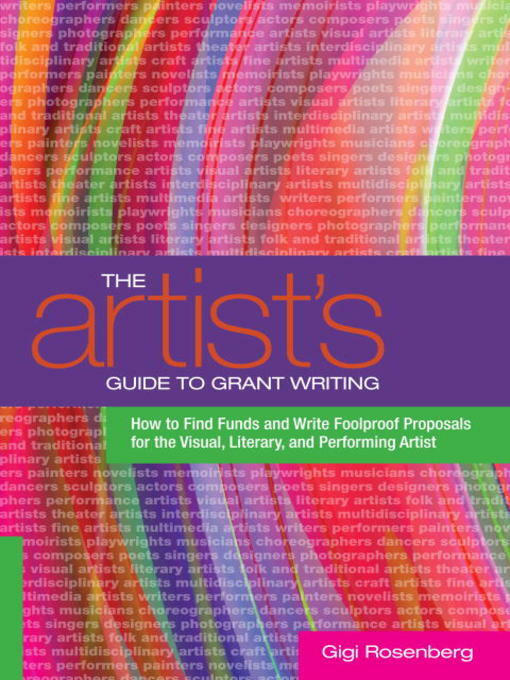 The Artist's Guide to Grant Writing is designed to transform readers from starving artists fumbling to get by into working artists who confidently tap into all the resources at their disposal. Written in an engaging and down-to-earth tone, this comprehensive guide includes time-tested strategies, anecdotes from successful grant writers, and tips from grant officers and fundraising specialists. The book is targeted at both professional and aspiring writers, performers, and visual artists who need concrete information about how to write winning grant applications and fundraise creatively so that they can finance their artistic dreams.